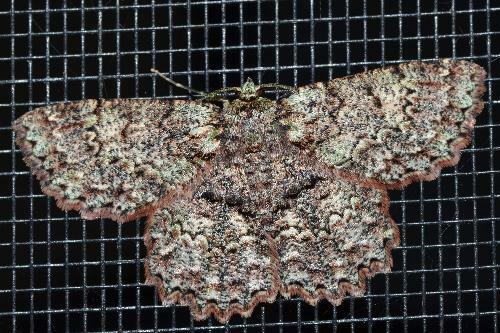 The adult moths of this species are greenish grey with a series of jagged dark submarginal lines on each wing. The wingspan is about 2.5 cms. Part 21 (1860), pp. 441-442, No. 31.